Dec.1985 : Bhagwan’s new secretary, His companion, His doctor and other western disciples accompanying Him were ordered out of India, their visas canceled. No reason was given by the Indian government for this unprecedented action except, “You are not wanted here.” Bhagwan left to join them in Kathmandu, Nepal, where He resumed His daily discourses. Feb.1986: Bhagwan went to Greece on a 30-days tourist visa, where He lived in the villa of a Greek film producer and started to speak twice daily. Disciples flocked to hear Him. The Greek Orthodox clergy threatened Greek government that blood would flow unless Bhagwan was thrown out of the country. March 5, 1986 : Police broke into the villa and arrested Bhagwan without warrant, shunting Him off to Athens where only a twenty-five thousand dollar bribery could move the authorities not to put Him on the boat to India. March 6, 1986: He left in a private jet for Switzerland where His 7-days visa was canceled by armed policemen upon arrival. He was declared ‘persona non grata’ because of “immigration offenses in the United States” and asked to leave. He flew on to Sweden where He was met the same way — surrounded by rifled policemen. He was told He was “a danger to national security,” and ordered to leave immediately. He flew on to England. His pilots were now legally bound to rest for eight hours. Bhagwan wanted to wait in the First Class Transit Lounge, but He was not allowed; nor was He allowed to stay in a hotel overnight. Instead, He and His companions locked up in small, dirty cell crowded with refugees. Mar. 7, 1986: Bhagwan and His group flew to Ireland, where they were given tourist visas. They went to a hotel near Limerick. The next morning police arrived and ordered them to leave immediately. However, this was not possible because Canada had by then refused Bhagwan’s plane permission to land at Gander for refueling on the intended flight to Antigua in the Caribbean. This extraordinary denial of the right to refuel was made in spite of a bond from Lloyds of London guaranteeing that Bhagwan would not step outside the plane. On the condition that there was no publicity that might embarrass the authorities, He was allowed to remain in Ireland until other arrangements could be made. During the wait, Antigua withdrew permission for Bhagwan to go there. Holland, when asked, also refused Bhagwan. Germany had already passed a ‘preventive decree’ not allow Bhagwan to enter their country. In Italy, His tourist visa application remained stalled — and in fact has not been granted 15 months later. Mar. 19, 1986:At the last moment, Uruguay turned up with an invitation, and so, on March 19th, Bhagwan, His devotees and fellow travelers flew to Montevideo via Dakar, Senegal. Uruguay even opened up the possibility of permanent residence. However, in Uruguay it was discovered why He was been denied access to every country He tried to enter — telexes with “diplomatic secret information” (all from NATO government sources) mentioning INTERPOL rumors of “smuggling charges, drug dealing and prostitution” concerning Bhagwan’s circle had invariably preceded then to their prospective host countries. The source of these stories was found to be the USA. Uruguay soon came under the same pressure. May 14, 1986 : The government decided to announce at a press conference that Bhagwan had been granted permanent residence in Uruguay. That night Sanguinetti, the President of Uruguay, received a call from Washington, DC, saying that if Bhagwan stayed in Uruguay, current U.S. loans of six billion dollars would be called in, and no future loans given. Bhagwan was requested to leave Uruguay by June 18th. On the day after He left, Sanguinetti and Reagan announced from Washington a new U.S. loan to Uruguay of one hundred and fifty million dollars. Jun. 19, 1986: Jamaica granted Bhagwan a 10-day visa. Moments after He landed there, a U.S. navy jet landed next to Bhagwan’s private jet, and two civilians descended. The next morning, the visas of Bhagwan and His group were canceled, “for reasons of national security”. Bhagwan flew on to Lisbon via Madrid, and remained “undiscovered” for some time. A few weeks later policemen were placed around the villa where He was resting. Bhagwan decided to return back to India the next day, July 28th. In all, twenty-one countries had either deported Him or denied Him entry. Jul. 29, 1986: Bhagwan arrived in Bombay, India, where He settled for six months as a personal guest of an Indian friend. In the privacy of His host’s home, He resumed His daily discourses. 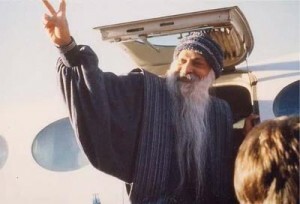 Jan. 4, 1987: Bhagwan moved into the house at the ashram in Poona where He had lived for the major part of the seventies. Immediately upon Bhagwan’s arrival, the police chief of Poona ordered Him to leave on the grounds that He was a “controversial person” who may “disturb the tranquility of the city”. The order was revoked the same day by the Bombay High Court. The same Hindu fanatic who, in May1980, tried to murder Bhagwan by throwing a knife at Him during a public lecture began making aggressive threats about forcing his way into the ashram with 200 commandos trained in martial art — unless Bhagwan was expelled from Poona. 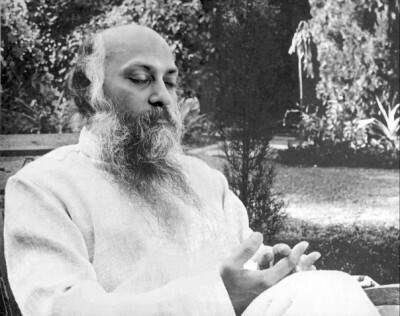 At the same time Indian Embassies around the world, and immigration officers at Bombay airport, began refusing entry to westerners “known to be followers of Acharya Rajneesh”. Nov. 6 1987: After a 7- week illness in which a simple infection failed to respond to any treatment. Bhagwan’s physicians diagnosed a general deterioration of His physical condition due to poisoning. A further analysis concluded thallium poisoning. During public discourse, Bhgwan stated that He believed the government of the USA had slow — poisoned Him during the 12 days He was in their custody in September 1985. 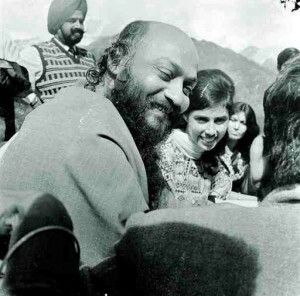 On April 30, Osho announces that He has developed a new process that He calls a “meditative therapy.” The process is refined, after the first experiments, to take place three hours a day over a period of three weeks: one week of laughter, one week of tears, and one week of silent witnessing. There is no interaction among the participants and no “therapist ” but only facilitator who has been trained in conducting the process. It is called “The Mystic Rose”. 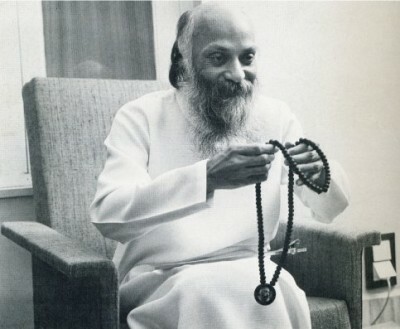 … “I have invented many meditations, but perhaps this will be the most essential and fundamental one.” In the weeks to come he adds two more therapies. “No-Mind” is a structure that involves gibberish followed by silent watching, and “Born Again” allows participants the freedom to play as if they were children. He also suggests that therapists who are skilled in guided meditations and hypnosis revive an ancient Tibetan technique of body-mind healing, which He names “Reminding Yourself of the Forgotten Language of Talking to the Body”. April 1988: Although the attempts of the governments of the “free world” to isolate Bhagwan in virtual internal exile, thousands of disciples have manages to travel to Poona to be with their Master once again. For one reason or the other Bhagwan changed His name to Osho. 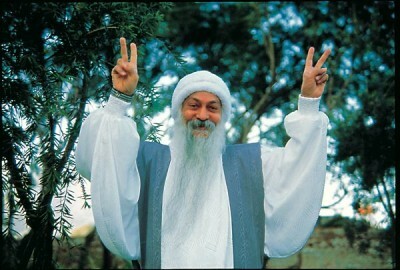 Feb. 29, 1989 The disciples of Rajneesh collectively decided to call Him “Osho Rajneesh”. Osho is a term derived from ancient Japanese, and was first used by Eka, to address his Master Bodhidharma. ‘O’ means “with great respect, love and gratitude” as well as “synchronicity” and “harmony”. 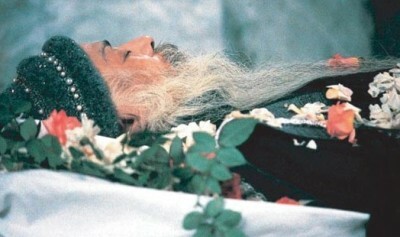 Finally He is known as “Osho”.